Claire Maxwell has worked as an independent consultant nationally and internationally for nearly 20 years. In 2005 she became Oasis’s first Associate Director, before joining the Directors’ Group in 2011. She returned to the role of Associate Director in 2017. She specialises in designing, developing and facilitating creative, collaborative and Whole Person approaches to organisational development, particularly in relation to integrating or re-configuring diverse teams, services and systems. She is highly sought after as a One-to-One Developer and regularly works at Board level. After an initial foray into the world of theatre and films, Claire worked as a film publicist for an internationally renowned animation company in London and was a founder member of a fringe theatre group. Despite valuing the creative world, Claire’s desire to engage in something more socially challenging led her to work at management level in social care, qualifying as a social worker specialising in child protection. Her extensive career in the public sector fostered and encouraged a deeply held interest in and respect for the process of change and the impact imposed change can have on people and organisations. She studied at Master’s level, achieving a degree with Distinction. Claire is also a qualified Lecturer and a guest speaker nationally and internationally. Her work now focuses on creating greater freedom and choice in decision making; encouraging deeper levels of relationship with the self and other to help confront increasing contradiction and complexity. This combination of the academic, the pragmatic and the developmental is most at play in Claire’s relationship with the Globally Responsible Leadership Initiative (GRLI). 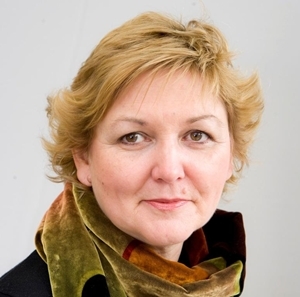 Claire was the first Chair of the Council of Partners Guardian Group and is now Chair of the Board of the GRLI. She has designed and facilitated innovative and pioneering Globally Responsible Practice workshops in Governance and Corporate Social Responsibility. These workshops, which are delivered internationally, create space for the accumulation of greater knowledge but also place an emphasis on developing the heart and mindset necessary for making a difference in the world. Claire has maintained a significant involvement with the theatre and spheres of creativity. She is interested in integrating creativity with collaborative approaches and has studied Socio Drama and Action Methods and was a founder member of a Play Back Theatre Group. She is a Fellow of the Royal Society of Arts. Oasis is a founding partner of global and UK-based leadership initiatives. Through these communities we work in partnership with over 70 global companies and international business schools and we have published international materials on Whole Person Learning and collaboration. The learning people gain with Oasis isn’t only measured externally by what others think, but by what the learner understands.